Does your company work with any therapeutic gardens to help individuals learn new skills or regain those that were lost? These gardens help participants improve their mental, physical and vocational skills through the use of horticultural tasks for therapy and rehabilitation. A therapeutic garden is a plant-dominated environment purposefully designed to facilitate interaction with the healing elements of nature. There are many sub-types of therapeutic gardens, including healing gardens, enabling gardens, rehabilitation gardens and restorative gardens. If you are working with any of these wonderful organizations, you should let them know the National Garden Bureau, American Meadows and Sakata Seed America are working together to provide $5,000 in grant money for three well-deserving therapeutic gardens in North America. In addition, Corona Tools will provide a generous set of quality gardening tools to each of the three winning therapeutic gardens. Have a defined therapeutic program, with a registered horticulture therapist on-staff or serving as an advisor, that uses the garden to achieve outlined goals for participants. Examples include horticultural therapy, occupational, physical, vocational or rehabilitation therapy in a garden setting, or using gardening to promote positive social relationships within a community. Offer a gardening experience where there is significant people and plant interaction for the population served. Is used for job training, skill building, food growing, socialization skills, improved quality of life, stress reduction, environmental education or any other positive outcome that can be gained by working in nature. Involve a significant number of gardeners, clients, patients, visitors or students on a monthly basis. To apply, applicants who meet this criteria should complete this application form and submit it to the NGB office by July 1, 2019. 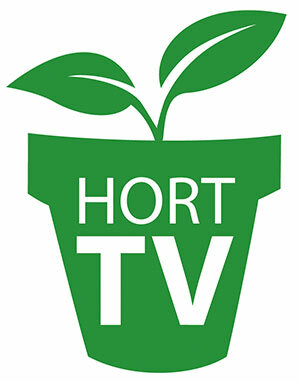 A group of horticulture therapy experts will narrow down applications to three finalists in mid-July. The three finalists will then be asked to submit a one-minute video that will be posted on www.ngb.org. Voting will be open from Sept. 9-23, 2019. The top vote-getter will receive $3,000, second and third place will receive $1,000 each. For more information about this project or National Garden Bureau, visit: www.ngb.org.